Welcome to the information page for the listening bench installed in Great Waltham, Essex. The clips currently loaded onto the bench highlight how education in the village has changed over the last hundred years (left-hand button), and memories of the village during the Second World War (right-hand button). The clips were taken from interviews recorded by Anne Cowlin in 2001-2005 for her book, Halcyon Days of Cod Liver Oil: An oral history of Great Waltham in the twentieth century. You can read more about her project on Essex Archives Online. The interviews are a fascinating insight into ordinary village life in the last century. The bench is located by the war memorial, Banbury Square. 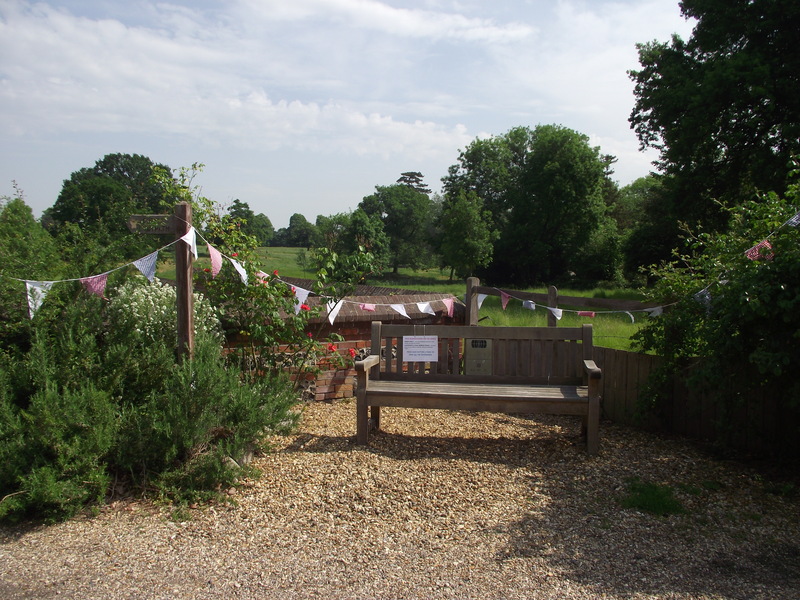 This bench was put together by a working group of villagers in Great Waltham, in collaboration with the Essex Record Office, as part of the Heritage Lottery Funded project, You Are Hear: sound and a sense of place. The volunteers have had great pleasure listening to the recordings. Many of the interviewees have sadly gone, but they leave fond memories. Many are still going strong, and some have taken part in the working group. The group hopes to change the recordings on the bench regularly – add a comment below to suggest some future topics. After an introduction by Peter Bradley, Rosemary Pitts describes her earliest memories of attending school in Great Waltham. Rosemary Pitts recalls some of her past teachers and fellow pupils. She also remembers what it was like to be Head Prefect. Walter Clift recalls the long journey to school, some of his teachers, and some of the mischief he got up to in his youth. Listen to the full interview on Essex Archives Online (SA 55/7/1). Peter Bradley gives an overview of life in Great Waltham in the Second World War. Doris Snow shares her memories of the War, then Rosemary Pitts shares her memories of the local Prisoners of War. Bridget Seymour shares her memories of the Second World War, including the ordeal of wearing a gas mask. Walter Clift describes the impact of American servicemen stationed nearby during the Second World War. Listen to the full interview on Essex Archives Online (SA 55/7/1).